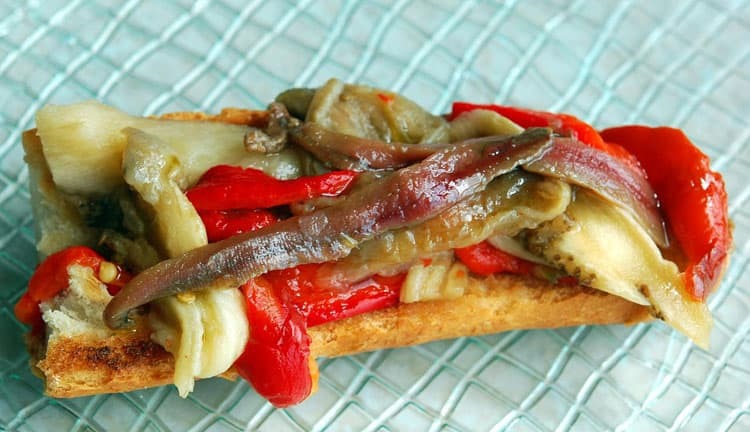 Everybody loves Catalonia: the beaches, the sun, the architecture, the environment and of course, the food. 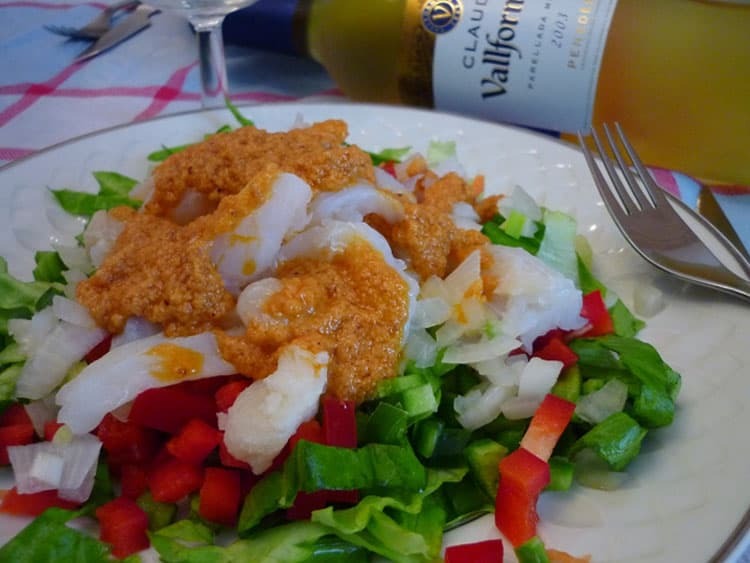 You won’t be able to take home the beaches or the Sagrada Família but at least, with a little effort, you can have one of these wonderful lunches and dinners that visitors enjoy their vacation in this region. Here are 3 recipes in particular which for its taste and simplicity are very popular. Cut the bread into slices about 1.5 cm thick (the bread should have a crispy crust and a very soft crumb). 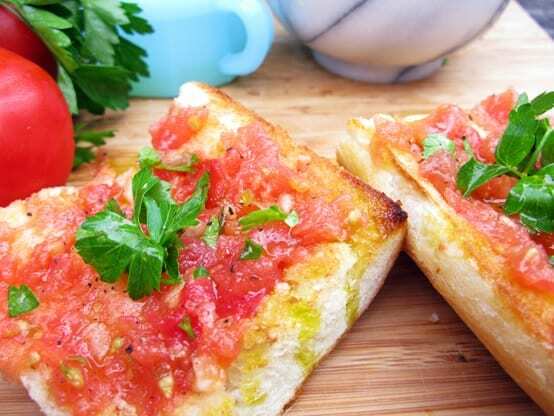 Cut the tomatoes in half and rub them against the bread, so that the tomatoes release both its colour and its juice. It can be done only on one side or both. Then put salt and oil on top. After that you can put the ham over the bread or on a plate, as preferred. Wrap the vegetables in foil and place them in the oven on high heat for about 45 minutes. Chop the garlic and set aside. When the vegetables are cooked wait until they are cool, take the paper away and peel them with your fingers. Cut them into strips, put salt, garlic and plenty of olive oil. The easiest is to buy the cod at the fishmonger, which already sells it crumbled and desalted. But you can also do it yourself. Once desalted, press it with your hands to get all the water. Then grab a towel to dry it further. Place it on the dish where it will be served. Mix the finely chopped onion with the grated tomatoes, salt, chopped garlic and tuna. And mix it all with the cod, adding plenty of olive oil and garnishing it with olives and hard-boiled egg cut into pieces. How about you? Have you tried any of these dishes? I had too google escalivda to see if it had worms or leeches or snails rolled out with a rolling pin. YIKES! Love the post just the same. Oh, to be in Catalonia for just a day…!! @Jen, you never know on my blog, right!? 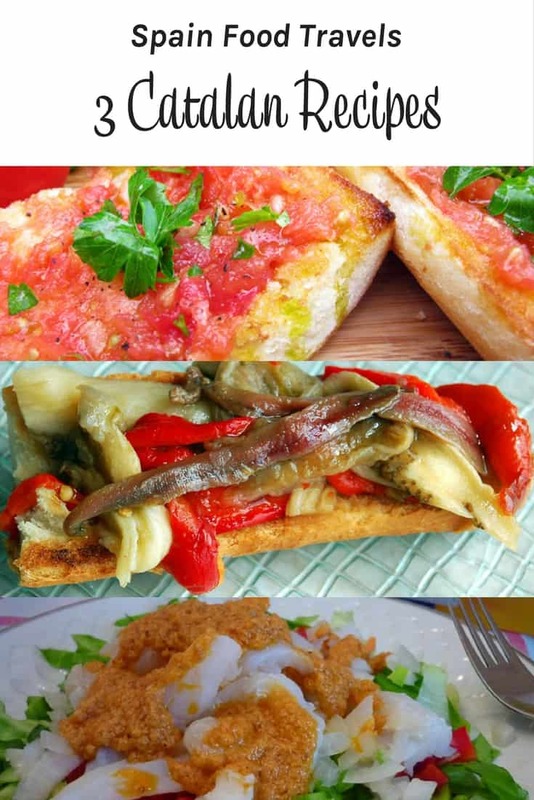 I haven’t had any of these dishes yet but they look very tasty!